Across the threshold to the gaming floor the air hung heavy with stillness. 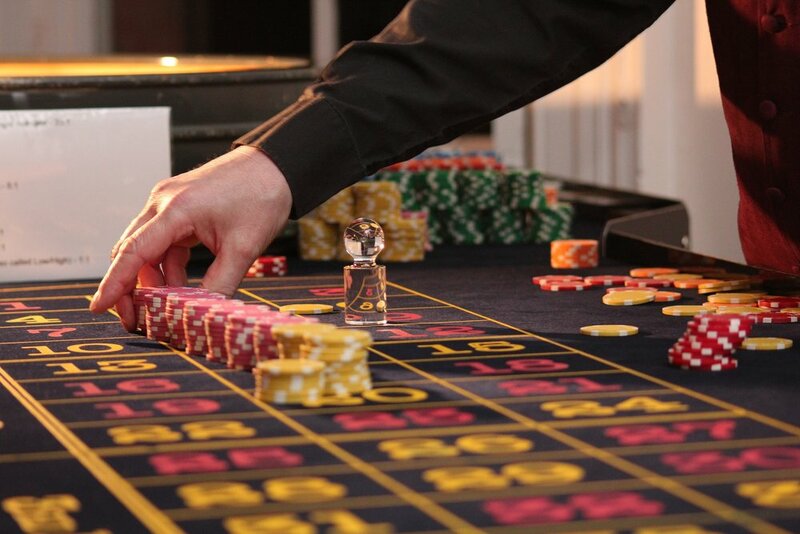 Casinos are heavily controlled environments. Aging air filtration systems ensure that hundreds of gamblers can smoke cigarettes, drink their complimentary coffees, and munch on cafeteria food, all while not moving for hours at a time; no windows, no change in temperature. Maybe more important than the air was the seamless noise, a soundtrack that never once changed in the four years I worked there. The carpet of the gaming floor had varying levels of plushness: while sections with old, unpopular machines boasted the softness of an inviting living room, busy areas near the “attraction games” were worn down to threads. Through my thick-soled sneakers and dollar store insoles, I could always feel the difference, my toes grasping desperately to propel me towards my corner of the cavernous room five days a week at three fifty-five in the afternoon. The behemoth of a building sat only yards from the banks of the Allegheny River in Pittsburgh. Aesthetically it was a pretty bland structure, a huge box attached to ten winding floors of free parking. It occupied the land where three different steel mills used to stand, none of which had made it into the latter half of the twentieth century. On days I walked to work I would pass a giant cauldron that used to heat iron, flames licking from its lip. Barely visible from its top today are some particularly sad flowers, little pink and white ones that seem confused about how they came to be there. When Karl Marx set out to describe what capitalism had done to the industrialized worker, he chose to focus on a condition he called alienation: the concept that markets and forces far beyond any working human abstracted them from what they created. This meant that people worked to live, to survive, but their efforts had nothing to do with survival itself, and their products were owned by those that did no labor themselves. Work, or as I see it, worth, becomes alien. He broke this down into multiple departure points, at which the worker was fractured from his true self, society at large, and profit. My favorite bartender for many years would occasionally cry about being a drug dealer, “peddling death for four dollars a shot”. I would laugh, though I knew in some ways he was right. His heartfelt anxieties about a life reliant on the deterioration of others would echo through my brain sometimes. I thought about people associating my face with their gambling addiction, but I never said no when they would ask me to rub their machine for good luck, imagining myself an avatar of an experience I had severed all ties from, escaping to the recesses of my mind. That's what I told myself at least. Though service work is filled with these instances of social heaviness, it is rare that we reflect on it affecting us. The ability to withstand the emotional labor of what we do while balancing our more tangible tasks is just a part of the job. In Pittsburgh, the story of the steel mills leaving was a defining narrative. The fall of the industry that for so many years seemed iron-clad devastated communities. If there ever was a worker that was alienated from the industry which he toiled in, it was the steelworker. The retelling of his perils and who was to blame for his demise is a fraught one, with some, myself included, pointing their fingers at corporate greed. Others blame the unions that formed to protect him, that their greed was actually the voracious force that drove the mills across the globe. Regardless, HE, the blue collar working man, the steelworker, indistinguishable from many other laborers of the 20th century, is a figure that our society mourns the loss of. We plant flowers in memorials to his work. Society had adapted to shield him partially from the pain of alienation. Validity and pride evolved around workers in the trade industries, so even if he was abstracted from actual profit, dealing instead within the currency of wages, he wasn’t as alienated from society. In 2012, retail and service workers made up over 25% of the workforce in the United States. Though not always as geographically poignant as a casino on the foundations of a steel mill, these workplaces filled the void of an economy that moved, over the course of a century, away from industry and production. What it seems would be the difference is that most service workers do not look like the mourned specter of those jobs, namely, we are not primarily white, and we are not primarily men. Our jobs, though physically taxing, also include that unspoken emotional heaviness, labor that is considered feminine, and therefore less respected in our society. Marx clarified that work becomes an aspect outside of a person's life by making them a “mechanistic” part of their social class. In the hollows of kitchens and casinos alike the machine becomes even more abstracted than in a steel mill: it's hard to see the spinning cogs when they’re rinsed from dishes each evening and reimagined with the flick of a burner the next day. Our product is not only owned by the non-laboring elite, it is hardly even tangible, even to those who consume it, even to ourselves. Who would mourn our loss if those owners, those who alienated us from our work, decided once again to take our livelihoods away? The decline of service work is most certainly a real fear. The number of retail jobs lost to the advent of online shopping is staggering. In the last year department stores have laid off more workers than the entire coal industry employs. Globalization isn’t picking up our jobs and moving them overseas, at least the ones that do not fit nicely into the parameters of a call center, but they are building machines that can do them better than us, emotional labor aside. Alongside these developments is an eerie silence championing the hands that used to scan our groceries and stock our shelves, because jobs lacking validity in the eyes of society are not “real jobs”. To many, it seems, one of the largest industries in the gross national product can only serve as a stopover on the way to greater things. We are sold a story of endless possibility and mobility, where no one is now forced to stay alienated in the working class, and anyone who is only has themselves to blame. Who is promised a “real job” with relevance and meaning, and when do some folks realize that they will always be simply a conduit through which a product, not of themselves, moves? And why do we blame them for that acceptance? Six months after leaving the casino, and Pittsburgh, I parked my truck at the Park Place Mall in Tucson. It was my day off from the kitchen work I had returned to doing for a living. I wondered how many of the hot cars belonged to the people that kept the place running. The well-kempt store attendants standing eagerly at entrances and kiosks, creatively, kindly, aggressively, subtly, soliciting your attention. The bored counter workers, hawkishly monitoring the number of times you sample the NEW zesty orange chicken. The listless waiters watching the setting sun from huge vista windows, its fall marking the beginning of their work day. The seams of the mall were visible, the fractures of each generation of remodel seeming to get more and more rushed. People speak of malls now as oddities, cultural relics of a dying industry. Did these workers think they were going down on a sinking ship? Or were they far too buoyant to ever see the ship as any vessel of their own? As the economy seems to be making another shift away from the industries we know, one full of automation and driverless cars, there is a strong push against any ways of thinking that are seen as regressive. If you ask about the jobs these changes will replace, you are accused of wallowing in an unproductive nostalgia, that the world is too big and fast to wade around in realities of the past. I do not see these investigations that way though. I am not nostalgic for a working class of fifty years ago, one that does not look like me, one that the world no longer needs. But I am interested in the working class of today, the one I am a part of. To write and talk about ourselves as valid may help to ease the alienation we feel when societal validation or appreciation feels like an impossibility. To talk about these things now may also help us understand when no one plants little pink and white flowers to mourn our loss. Hannah Taleb is a Tucson based writer, activist and journalist originally from Pittsburgh, PA.